Senior graduation quotes - words of wisdom that will be the perfect accompaniment to your thoughtful graduation gift or graduation flowers. Find the words, quotes or poems on graduation and make a special occasion even more memorable and remarkable! Good quotes for graduation speeches and free high school graduation speeches will set you on the right track to find the perfect words. 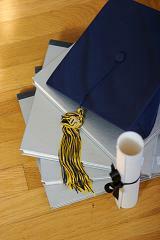 Graduation accolades - pride and congratulations eloquently expressed to accompany your graduation gift ideas. waiting to unfold and reveal itself. and take the time to seek what is within. And found they were in the palms of my hands. But you must take the first step and it begins with today. A deep yearning to grow and contribute and make a difference! and to do what no other can exactly do! We build them to remind ourselves what is possible in our own! and the loveliness that drapes your purest thoughts. your world will at last be built! you must live it throughout. and never withdraw from a world that is vast. and steer a course straight and true. is the level of your desire. there are no limits on what you can achieve. Senior graduation quotes - an excellent platform to weave your sample graduation speech around, or great as a graduation present quote inscribed on the front page of a scrapbook of memories.